As a freelancer, it’s entirely possible that most, if not all of, your client work come from the internet. The almighty internet allows us freelancers to work from nearly anywhere and is the birthplace of social media. Thanks to outlets like social media, we can keep in touch with friends and family across the world with a click of a button. But social media can do so much more than help you connect with loved ones. If used correctly, it can act as a powerful business tool for your freelancing business. Simply put, if you’re using social media solely for personal use, you’re missing out. Let’s dive into the pros and cons for a few of the social media giants and how you can best use them to help boost your biz. The way we use Facebook has changed dramatically since its inception way back in 2006. These days, Facebook can offer freelancers a leg up when it comes to business boosting tools like marketing, promotion, and client acquisition. One of the biggest perks of using Facebook for business is that a basic level business page won’t cost you a dime. 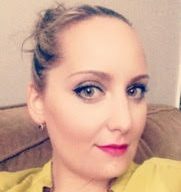 Facebook groups are an amazing tool for professional development as well as marketing and promotion. If you have the budget and want to add on extras such as post boosting, you can do so with ease, and without breaking the bank. Basic post-boosting starts at just $5, and you can adjust without contracts to increase reach as your budget grows. Another big perk to using Facebook for marketing and advertising is the ability to deliver your content to a targeted audience. Easy to manage controls allows you to target a specific demographic whether it be by gender, location, interests, and more. Without paying for marketing, Facebook still can help get your content in front of more people using something I like to call, the domino effect. The domino effect occurs when someone “likes” your page, it then shows up on the feeds of their friends as a page they’ve “liked.” This effect can help increase your viewership with little effort on your end. As we well know, Facebook is already considered one of the top productivity drainers. Using the platform for business purposes may take up a good chunk of your time as well. Some users report that it’s considerably time-consuming to monitor progress, find out what works and what doesn’t, all while still posting regularly and engaging with followers. After all that, the big bummer is that conversion rates are pretty low. Your overall success with this strategy is partially out of your hands because it largely hinges on the behavior of other people. For example, people may “like” your page but opt out of notifications. Additionally, if people don’t leave comments or “like” your posts, you may have the viewer numbers but not actually be reaching your target market. It really can’t be stressed enough, keep your business and personal pages separate. If you aim to appear professional, (which should be your goal) stuffing your business page with personal musings and photos may only hinder your progress. You’ll also need to be careful what you post whether it be personal information or potentially sensitive topics that may offend or turn away potential clients. These days, users have a great deal of control over their privacy settings, so be sure to utilize them! LinkedIn has long been regarded as the most “mature” of the social media platforms as its primary focus is professional networking. If you’re not on LinkedIn and want to grow your freelancing business, now is the time to start. As with Facebook, the free account more than gets the job done. While they do offer premium features and plans, the free plan will work just fine for most freelancers. One of the biggest “pros,” especially for freelance writers, is LinkedIns’ publishing platform. Essentially, any member can publish an article regarding their experience, expertise, or interests. The platform isn’t made to re-post content from elsewhere, so it’s an excellent opportunity to get new, tailor-made content in front of professionals, usually related to your niche. Combined with their publishing platform, LinkedIn is also a great place to keep up with industry news and trends. After all, you can’t be the best in the game if you’re behind the times. LinkedIn also offers an organic approach to networking, which can often seem awkward in a web-based world. Besides people you know and work with, use LinkedIn to make new connections. Start by listing out companies and people you admire related to your niche or field. You can then search for editors, recruiters, and more with whom you can connect. Lastly, (and maybe most importantly) LinkedIn promotes personal credibility, increased visibility, and your SEO. All it takes is a quick Google search to know that LinkedIn is highly prioritized in the rankings. More often than not, your LinkedIn page will outrank your business site, unless it contains your exact name. Unless you’ve put some real effort into your profile, a Google search may leave potential clients unimpressed. Some have also begun using the platform for other-than-professional uses, which can lead to an excess of spam. Lastly, while ever changing, most recent statistics show that on average, people spend less time on LinkedIn than other social media sites. Keeping your profile updated is among the best things you can do if you want to use LinkedIn as a way to boost your business. Be sure to pay particular attention to your summary, as it’s the very first thing people see. Check in at least once a week to update connections, job information, and share and comment on articles. If you only pop in every month or so, you’re going to miss out on a lot of the benefits LinkedIn can offer. While endorsements are important, it’s been suggested you keep your skills to three to five maximum so that you appear as an expert in your field, rather than a generalist. With an average of 338 million active users in the just first quarter of 2018, Twitter is a giant when it comes to worldwide social media platforms. With such massive user numbers, you can’t afford to miss out on the opportunities Twitter presents freelancers. It’s effortless to track which tweets perform well and which ones don’t. By using these insights, you can easily tweak your strategies to reach and engage with a broader audience. Thankfully, Twitter automatically shortens links and most times, adds a click-thru image. By doing so, sharing attractive, media-rich content is easier than ever before. Also like with Facebook, likes and retweets are seen by followers of whoever interacts with your tweets which can help get your message seen by more people. The free model works well for most freelance-based business needs, making Twitter a budget-friendly option. It takes time to engage with and grow a following. Most people using Twitter check in to the app a few times a day. If you’re aiming to ramp up quickly, you’ll need to be as active as possible. Statistics show that on average 350,000 tweets are posted a minute. That’s a lot of noise to try to cut through. For people to focus on and interact with your tweets, you’ll need to craft your posts carefully. There are lots and lots of bot and spam accounts. By lots, I mean hundreds of thousands. When you’re working hard to grow an authentic audience and following, these accounts can skew your numbers. I would be remiss if I didn’t mention the (in my opinion) nefarious tactics like, “Follow to Unfollow.” This practice is when someone follows you so that you follow them back, then almost immediately unfollow you. People use these types of tactics to get their follower numbers up and keep their following numbers low, which to some, indicates value. It’s very common on both Twitter and Instagram and is equally frustrating across both platforms. As with other social media accounts, it can be all too easy to get distracted. The appeal of Twitter is that bite-sized information, thoughts, and insights are easily digestible and shared. It also means it’s easy to “accidentally” lose focus and stray from a business perspective. To make Twitter work for you, be authentic and engage with followers often while being mindful of your time spent on the app. Experiment with different strategies like varying post times, type, and hashtags. Once you know what works best, stick to it. While generally considered outside the “big three” of social media marketing platforms (Facebook, Twitter, and LinkedIn), Google+ shouldn’t be discounted as a valuable tool in your freelancing arsenal. Google+ communities are a great place not only for networking with fellow freelancers but for finding potential clients as well. Much like LinkedIn’s publishing platform allows you to stay abreast of trends and industry news, Google Hangouts is an innovative way to discuss topics “face to face” with other professionals. There is an inherent upside to using the search engine giants’ platform. Being active on Google’s platform is said to help raise your SEO ranking. By utilizing Circles, you can further categorize your audience and tailor your content to specific audiences. Just as Facebook uses “likes” and Twitter uses “followers”, your “value” can be measured by connections and +1’s. It takes some time to gain numbers that may help impress clients. You’ll need to tweak any repurposed content from other platforms like Facebook or Twitter as Google+ tends to favor longer posts. There are some limitations when it comes to that SEO boost we spoke of earlier. While using this platform can help your rankings, whether or not someone is logged into their Google+ account or has you in their circle can affect how your site shows up on a google search. Despite touting high numbers of active users, some have questioned if that number is inflated by including users of Gmail and YouTube in their count. Be sure to link your Google+ account across all your websites and social media accounts. By doing this, potential readers (and clients) can add you to their network quickly. Be aware of whether you’re focusing on networking versus lead-nurturing. If you’re looking to gain client leads, look for small business communities who are more likely to have a need for content rather than like-minded groups like other freelancers or bloggers. While not all platforms will suit your exact needs, each offers unique benefits well worth checking out. 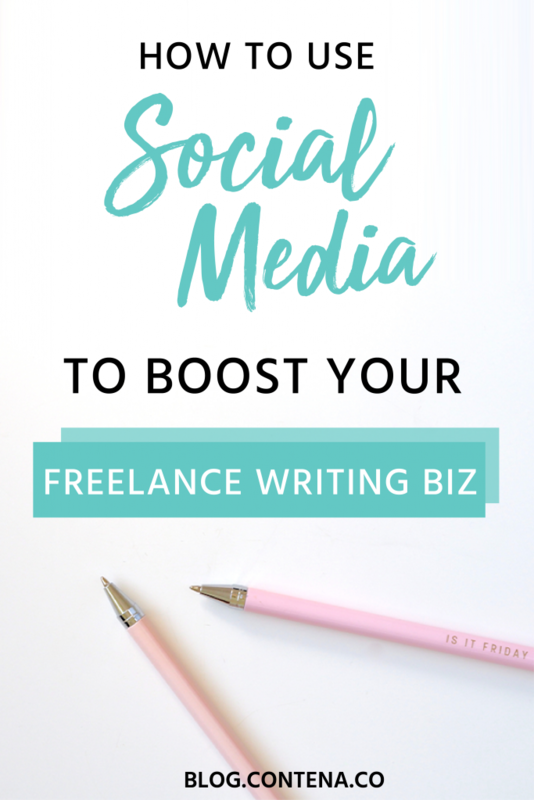 Social media may just be the missing component to your freelancing success!